What in Heaven’s name is a seminarian talking about marriage for? Isn’t he becoming a priest because he has no luck with girls or something like that? Well in actuality, priesthood is, in its own way, another kind of marriage. It is a union between a man and the Church. 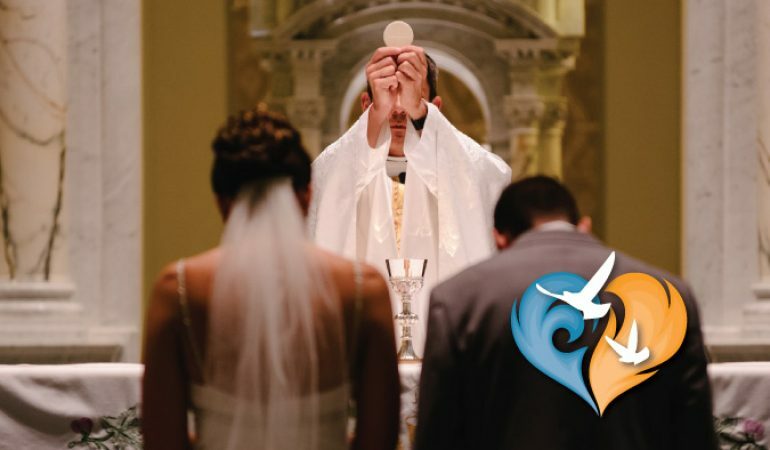 The priest takes vows to devote himself to her (the Church), to honor her, and to remain faithful to her for the rest of his life. Similar to marriage, he also consecrates himself in chastity. He does not give his sexuality to others outside of his marriage. I have read it more than once in books concerning discernment to the priesthood. It is rare that I share with anyone my personal thoughts on sexuality, chastity, marriage, and the like. I mean, I don’t often have any reason to. Now, no need to worry, this post isn’t going to be R-rated or anything. I’m just going to talk a little about my thoughts and feelings on the vow of chastity and what all that means. First of all, I’m not ashamed to say that I do my best to remain pure. I’ve prayed for purity and tried hard to focus my mind away from those unclean thoughts that try to seep in. And ultimately, I think it’s a battle that I am winning with the grace of God and spiritual direction. In a world that’s just saturated in sin and temptations, sometimes it can almost seem like it is wrong to remain pure. I mean, society often makes it seem like a sin to remain a virgin! Despite what the world may think, there are both reasons and grace which motivate us to strive for purity. I told them, “Yes.” Of course, I understood that I would be giving up dating, romance, and ultimately the intimacy of marriage. And you know, that’s the truth. I do understand what I am giving up, even though I have not experienced all of it before and I very well may never. Then there was a time I experienced something new. I attended a summer camp centered around pro-life leadership. The woman running the camp was a nice lady, around five or six years my senior. 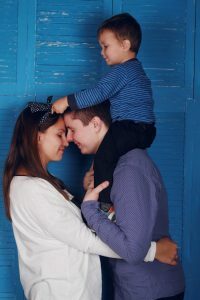 She and her husband had a little boy (almost 2 years old) and were expecting a second boy in a matter of weeks. She seemed like the epitome of a young, pro-life, Catholic mother. Also at the camp was her husband, who helped with some things and babysat their toddler. Basically, over this weekend, I witnessed this young family just being a family. I guess, it opened up my perspective a little. It’s given me another way to look at it, and understand what it means to pursue the priesthood. What I must leave behind. Going back to the beginning, it’s so easy to get sucked into the sin and impurity of the world. But at the same time, I think it can be easy to forget the beauty of sexuality and the virtue of when it is used correctly. Of course, this is not to say that I am having second thoughts about my decision to pursue the priesthood. I still believe that I am called to this vocation, and I am doing my best to follow that call. Yet, this gives me something more to ponder. Something to grasp the reality of what I am choosing. Finally, I suppose this also serves as an example of how things can be used for sanctification. If I don’t truly appreciate what it is I am giving up, it has no real effect on me. However, if I truly understand what it is that I am putting aside — if I grasp the value of what I could have — then, what else can I do but appreciate even more the role that God is calling me to play! Because in the end, He isn’t asking me to give up marriage. He is asking me to accept one marriage instead of another. And with the help of His grace, I will accept it. 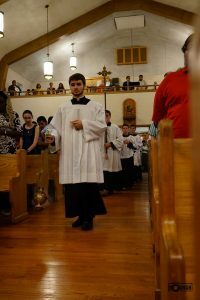 Nikolai Brelinsky is studying as a seminarian for the Diocese of Raleigh. He currently studies at Saint Charles Borromeo Seminary in Philadelphia, PA. However, his home is in Zebulon, NC. Nikolai is involved with pro-life work and enjoys sports in his spare time.